Home » Email vendor Selection Articles » Marketing tech checklist: 8 things to check before you invest. 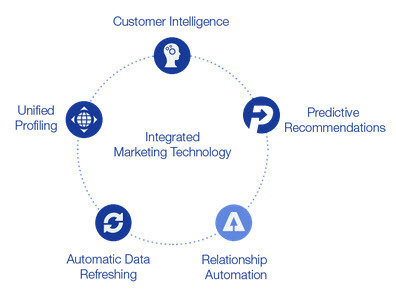 Marketing tech checklist: 8 things to check before you invest. There’s no doubt that marketing tech can significantly increase revenue and engagement. Before you invest, it’s a good idea to check your shortlisted technologies to make sure they have everything you’ll need to boost your bottom line. Today there are more than 2,000 marketing technology vendors to choose from – all with varying features, benefits and user experiences. Investment in this type of technology is soaring, as customer experience and cross-channel marketing becomes ever more important. Here’s a list of eight things to check before you invest. Google said it with Mobilegeddon – when it comes to building intimate relationships with your customers, mobile marketing is a hugely important channel. There are 1.08 billion smartphones out there, and 50.3% of e-commerce traffic happens on these mobile devices. That’s a lot of interest (and revenue) to lose if your marketing isn’t responsive. Yet at present, under five per cent of marketers think their platforms are ready for cross-channel marketing. Another aspect of mobile to consider is text message marketing, which is a fast way to get the attention of any contact. Currently text messages get an average open rate of 98% within three minutes of delivery and 64% of shoppers say they would like their favourite brands to send them texts. All good reasons to ensure your marketing technology checks this box. 78% of consumers are not loyal to any particular brand. Why? Because they just don’t have a relationship with them – they don’t feel cared for – so why would they be loyal? The great news is 85% of consumers would increase their brand loyalty if they felt cared for by a brand. Now there’s a vastly untapped opportunity. With so many consumers in the world, it can be a challenge to keep up a relationship with each and every one of your contacts. That’s why it’s essential for your marketing technology to include relationship automation. A great example of this is inventory updates. If a shopper tries to buy an item that’s out of stock, you can drop them a text or email with that product as soon as it becomes available again. This type of triggered communication will maintain your customer relationships longer. And as we can see above, the longer a customer’s relationship with a retailer, the more they spend. See how the platform seamlessly connects each aspect of your marketing? In fact, not only do they connect, they are all equally reliant upon each other to function. You can save a lot of time through data integration. If a marketing team has to download and upload .csv files every time their data changes (which is all the time! ), or manually keep tabs on who’s shopping on which devices, your marketing will be inaccurate, impersonal and most importantly, your team simply won’t be able to keep up with campaign management. Platform integration is definitely a worthwhile consideration before you sign any contract. Ultimately, you can have an amazing product catalogue, but there’s no “one product” that every individual is going to like. Brands need to make it very simple for each of their customers to find what they’re individually looking for across their marketing touch points. This is hard to do when every customer is so different. Predictive product recommendations automatically attract, engage and retain customers with relevant product recommendations over every marketing channel. 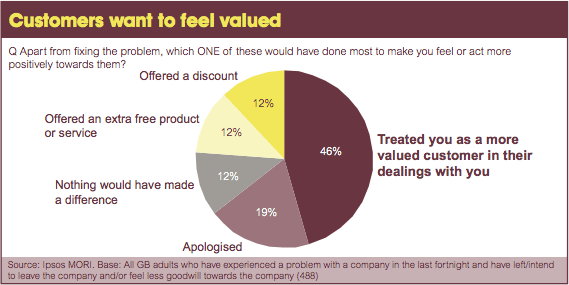 When customers feel cared for they purchase more and naturally become more loyal to a brand. Currently, 53% of consumers will make higher value transactions with retailers that use past browsing or purchasing behaviors to recommend products. Our client Square Meal got four times more purchases from email by using predictive product recommendations. Did you know that almost ten years ago, Amazon had already seen that 35% of their revenue came from predictive product recommendations? Perhaps that’s why 70% of Amazon’s homepage is solely recommendations. 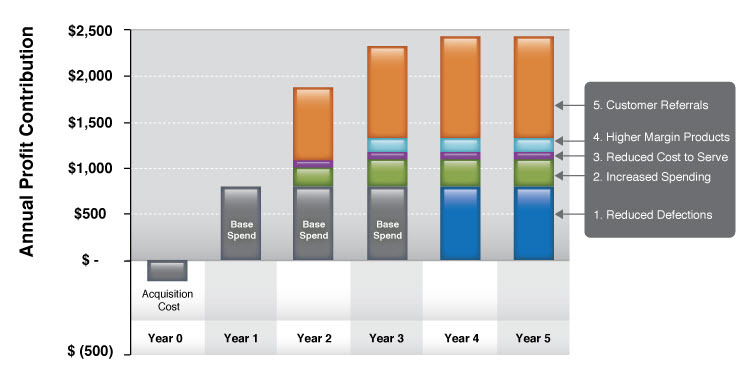 Effective multichannel campaign management costs time and significant resource. When used to its full potential, marketing technology can boost your revenue by 75% or more. It’s essential to learn how to use your marketing technology effectively – and any good supplier should have services set up to support you with this. In fact, some suppliers will go one step further and, for a small additional fee, they’ll create your campaigns for you from scratch. Using the strategic support and creative expertise of your supplier, you’ll maximize profit and brand engagement with your customers with minimal resource. – This is a real bonus for the busiest events of the year, like Christmas or Black Friday. Customers who spend more do so across multiple devices, so it’s important you know who they are and treat them as the same individual on mobile, tablet and desktop. Customers expect and deserve to be treated as individuals. To be able to give them this treatment, you need to know what they’re looking for, and when & how they’re doing it – insight that’s almost impossible to get. Marketing technology should include a behavior listening tool which captures shopping behavior on the web. It should be able to tie your commerce site into your marketing technology and, when used with customer intelligence and predictive recommendations, it should allow you to target customers one-to-one, based on their personal browsing and purchasing patterns. Managing social engagement manually is very time-consuming. Due to human error and lack of resource it can be so inaccurate that marketers don’t actually do it at all. Social engagement increases customer retention along the entire journey. For example, if your contact abandons a cart online because the phone rang or they had to rush off to a meeting, they can be reminded of the items they wanted to buy later on. Better yet, if your platform is integrated with customer intelligence, you can target these same customers with items you know they’ll love, based on their current purchasing and browsing patterns. This type of engagement helps you to increase revenue and reignite interest in your brand, recovering the revenue you would have otherwise lost. Last but certainly not least, your user experience is just as important as your customers’. You shouldn’t need I.T. to help out every time you need to send a campaign or evaluate your marketing performance. This should be really easy. Be sure to ask for a demo or trial before you invest – it’ll become apparent very quickly if it’s easy to use. Ultimately, marketing technology exists to make your life easier and help you to increase revenue and engagement, without challenging your deadlines. It’s not cheap, so pre-empting potential challenges and discovering the best opportunities of your investment will become essential to your future success. Steven is the Managing Director of Emarsys in the UK. With a Client Services background in Technology, Steve knows B2C marketing inside out. He has a strong grasp of the challenges marketers face every day, and how to overcome them.